We recommend you consult with the Office of Human Ethics, Biosafety, and Integrity in regards to the sensitivity of your data. Data that is not obviously sensitive (i.e., does not include names or dates of birth), or has been de-identified, may become sensitive again when context changes. Triangulation (combining several pieces of non-sensitive information e.g. age, family composition, occupation). Data linkage- bringing two or more datasets together that cover same person or subject of research. 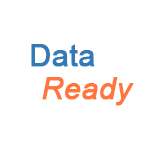 research data must be securely disposed of at the end of the specified period of retention. 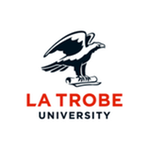 La Trobe University has designated research data storage options to help you meet these data security requirements. See the Data storage guide for more information about these options. The CloudStor data transfer service is recommended as a method for secure transfer of data to non La Trobe researchers. See the Safe and secure data transfer section of this guide for details. This is an excellent guide to legislation, codes, statements and policies and IT security requirements for sensitive data. Sensitive research data such as that involving human subjects may require encryption. See the Data encryption guide for more details. Log into CloudStor and click the Sender icon on the top of the page. Guide to legislation, codes, statements and policies and IT security requirements for sensitive data.